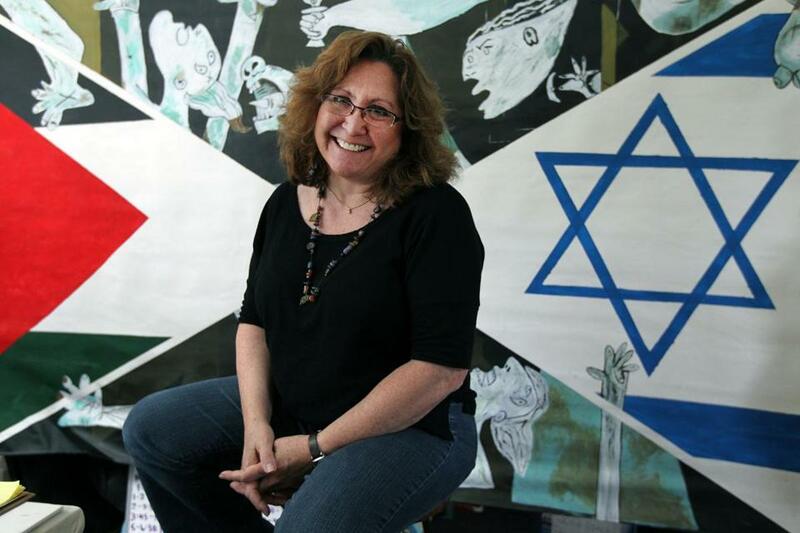 "Deborah Nathan, of Swampscott, founder of Artsbridge, a non profit organization dedicated to building bridges between Palestinian, Israeli and American students through art and dialogue, is the 2014 recipient of the Boston Jewish Film Festival’s 2nd Annual Community Leadership Award for her 'passionate commitment to social justice and to improving society.'" "From an open window of a music studio on the Buxton School campus in Williamstown, the harmony of a small chorus of voices filtered into the early Sunday evening air. 'Artsbridge, a place to learn, a place to change, a place to find new direction,' they sang. 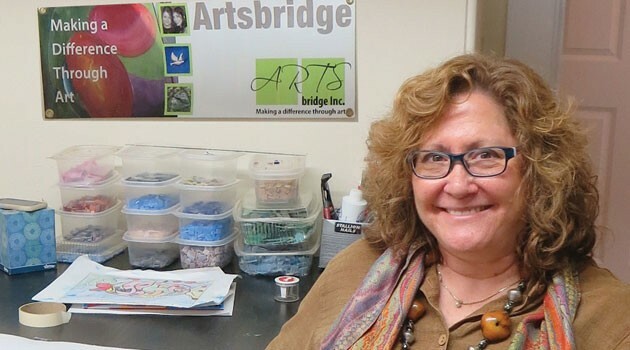 Artsbridge Inc. is a Boston-based nonprofit organization that uses art and dialogue to bring together Israeli, Palestinian and American youth and foster long-term constructive partnerships." "How can three weeks of creating art projects possibly help calm a dispute that has confounded diplomats, politicians, and religious leaders for decades? Swampscott resident Debbie Nathan, founder and executive director of Artsbridge, has entertained versions of that question since 2008, when her nonprofit ran its first summer training session to promote understanding between Israeli and Palestinian teenagers, on 'neutral territory' at Beverly’s Endicott College." "ArtsBridge brings Isreali & Palestinian teens together for 3 weeks of intensive dialog, arts & media making in hopes of the teens bringing their newfound insights back to their respective communities to inspire peaceful ways to work out issues. CBS spent two days filming Artsbridge this summer at Boston College. In late September they aired a documentary which included a segment on Artsbridge. The segment on Artsbridge begins 1 minutes into the documentary." Artsbridge continues to expand our impact, empowering youth worldwide.